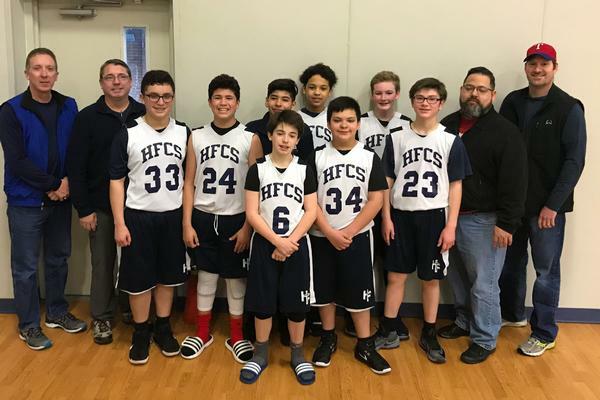 The Fort Worth Diocese offers three basketball leagues for each gender, based on grade level, with teams competing in the grade level of the oldest member of the team. 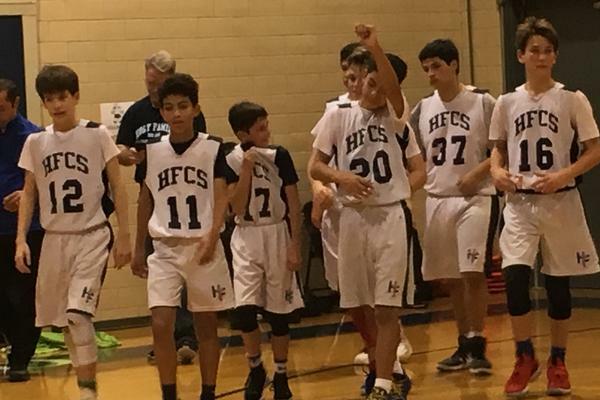 The 2016-17 HFCS Hornet Basketball teams included three boys teams and one girls team. All of our teams played their Hornet hearts out this year! We are very proud of them, and thankful for the parents who volunteered to coach. 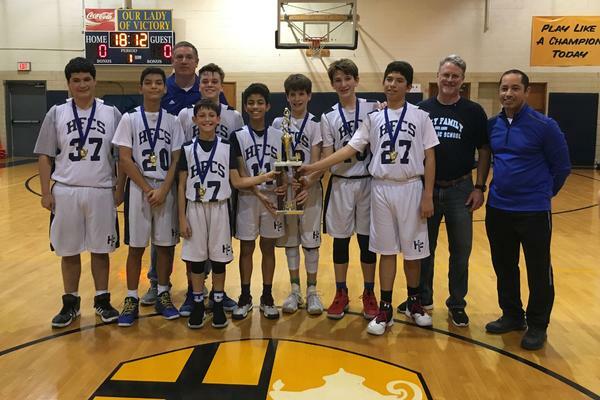 Our 7th Grade Boys team started with a win in the Pre-Season tournament, and finished as Champions of the Post-Season Tournament! 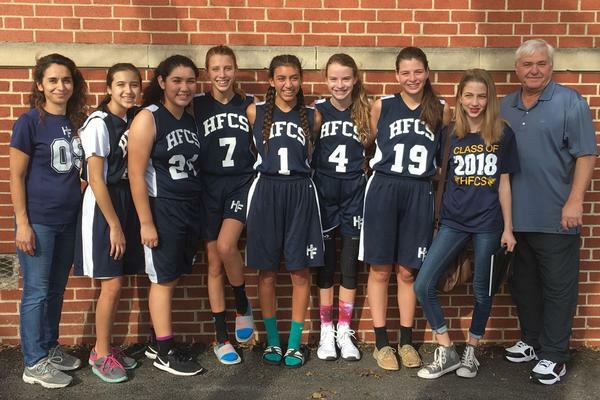 Our All Grades Girls team wrapped up the Post-Season Tournament with a Second Place finish! Go Hornets!